A great park to end our last day of birding in the states. We woke up rested and enjoyed a quick, complimentary breakfast before heading out to do a morning of birding before heading back to Toronto. 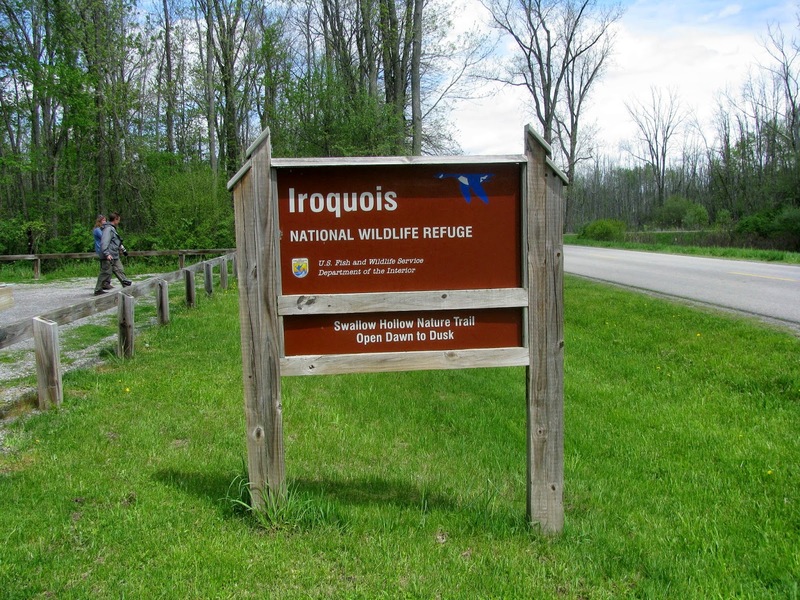 Jim found the Iroquois National Wildlife Refuge while searching for places to bird outside of Buffalo on the internet. This place, located in Basom, NY, is awesome. 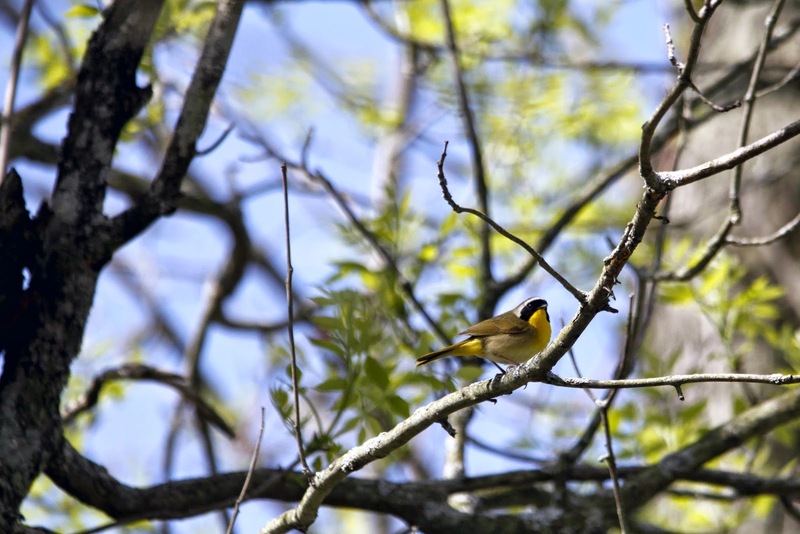 With a variety of habitats, it plays host to many bird species, and we would definitely return again. And it was here that a little yellow bird with a black hood would finally make an appearance for us all. A lifer for me, and neither Rob or Jim had seen the male, and he had been on the top of Rob's wish list for this trip. It was the perfect ending to a great vacation. 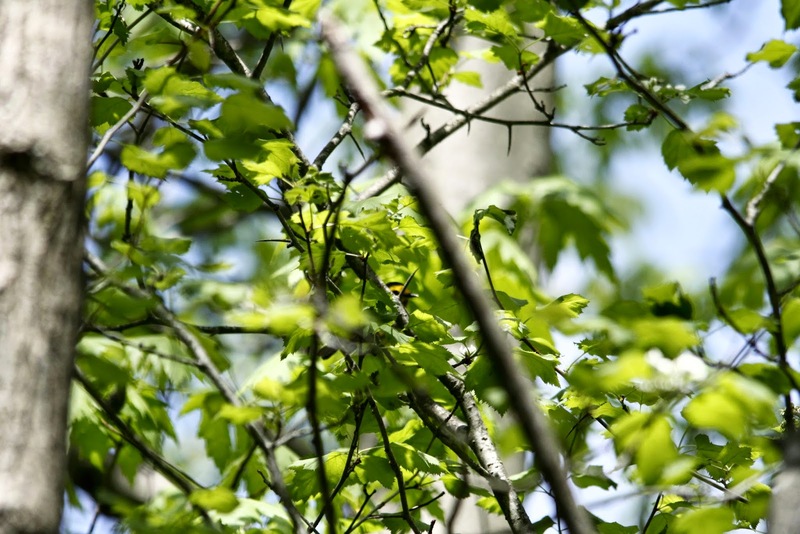 Playing peek-a-boo with a Hooded Warbler. We had great views, but no great pics. 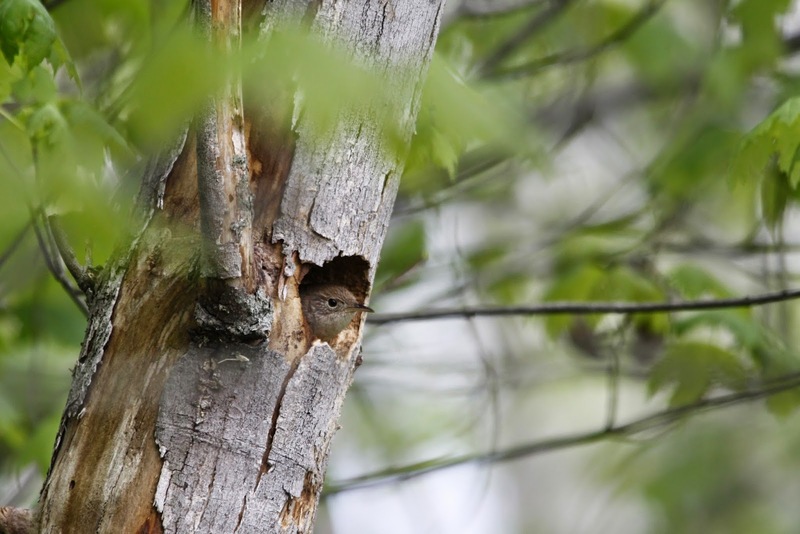 Pic from allaboutbirds.org, so you could see what we saw. 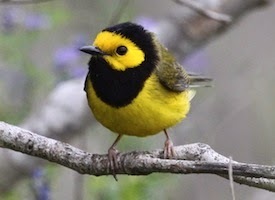 I was walking ahead of the others and a gorgeous Hooded Warbler flew out and landed right in front of me. 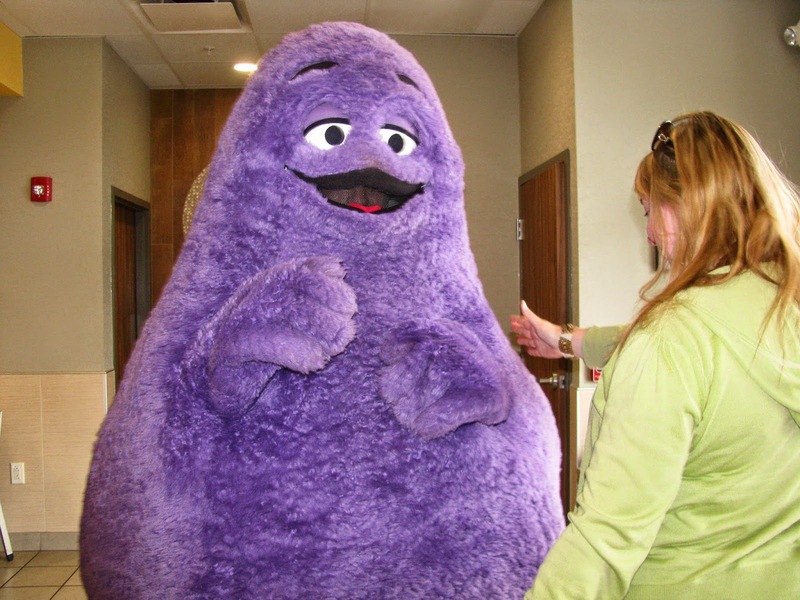 I literally gasped when I saw him. There was more then one in the area and we all had great looks. Lots of Common Yellow-throats around the marshy area. 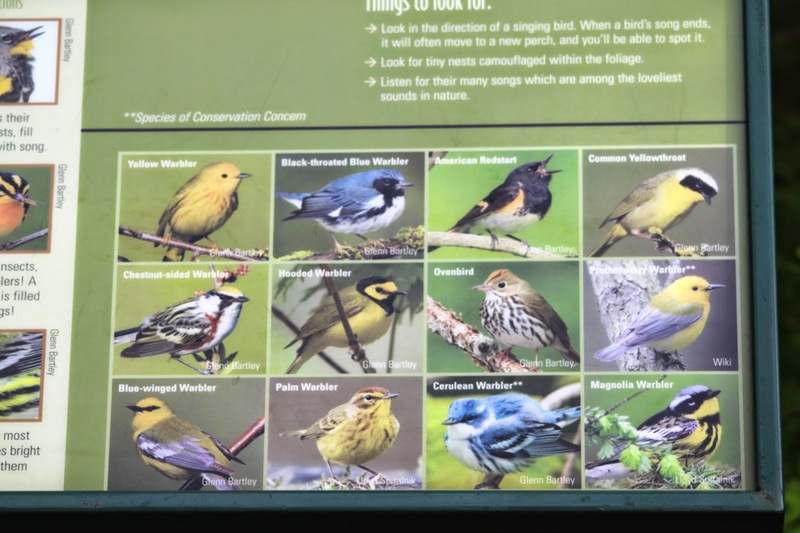 A good variety of warblers can be seen here. 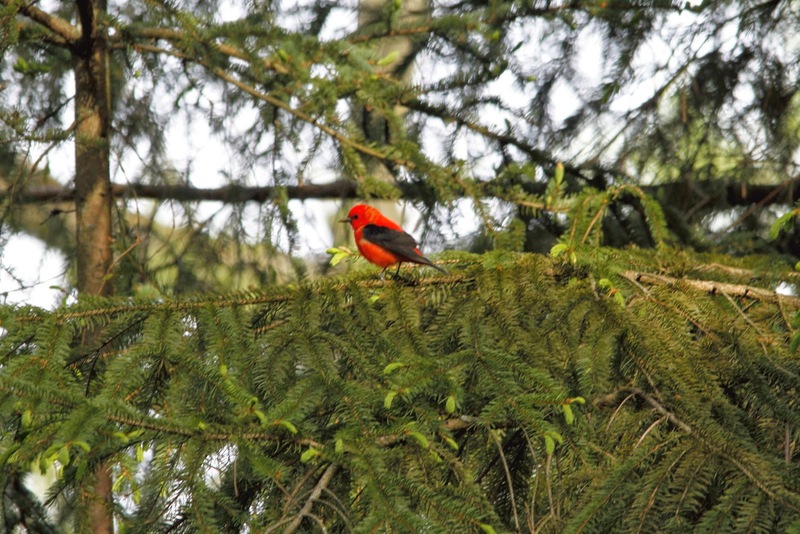 We also had fantastic views of a pair of Scarlet Tanagers. Jim and Rob spotted a pair of House Wrens nesting in this cavity. You never know who you're going to meet on the road! 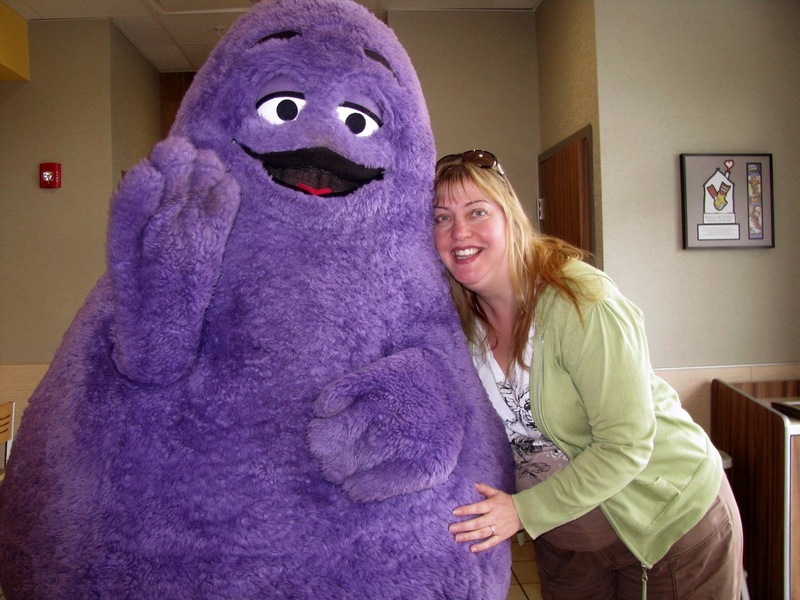 Jim was outta the van and getting his pic taken with Grimace before I was even in the restaurant!